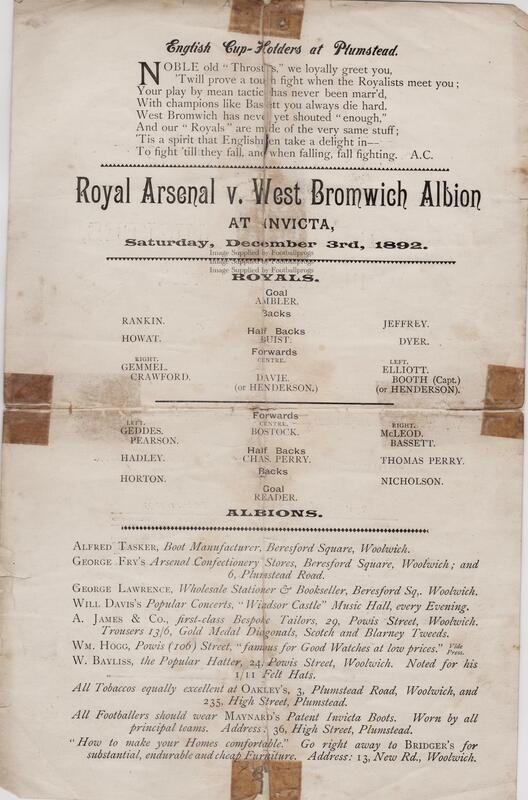 Royal Arsenal December 1892 - single sheet programme for the home match versus West Brom played at the Invicta Ground, Plumstead. 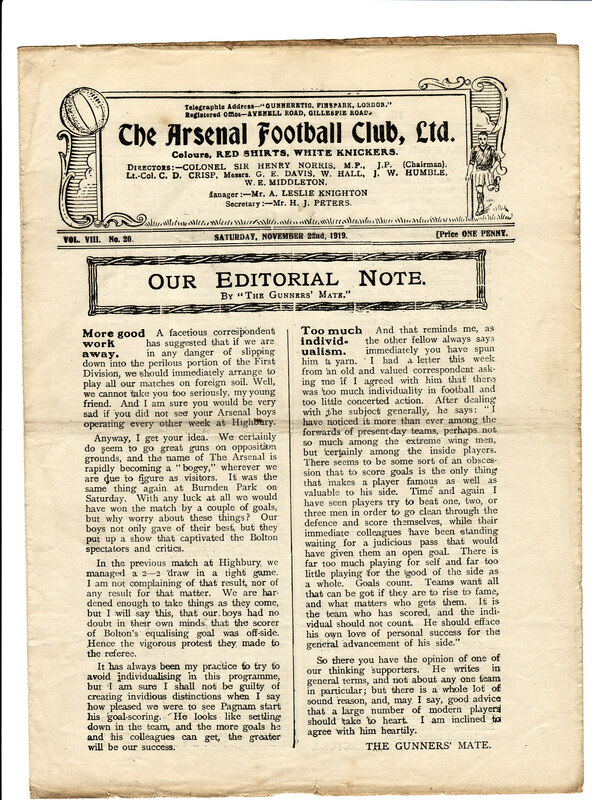 The oldest known Arsenal home programme predates this one by a year and is for Arsenal v Heart of Midlothian, March 1891. 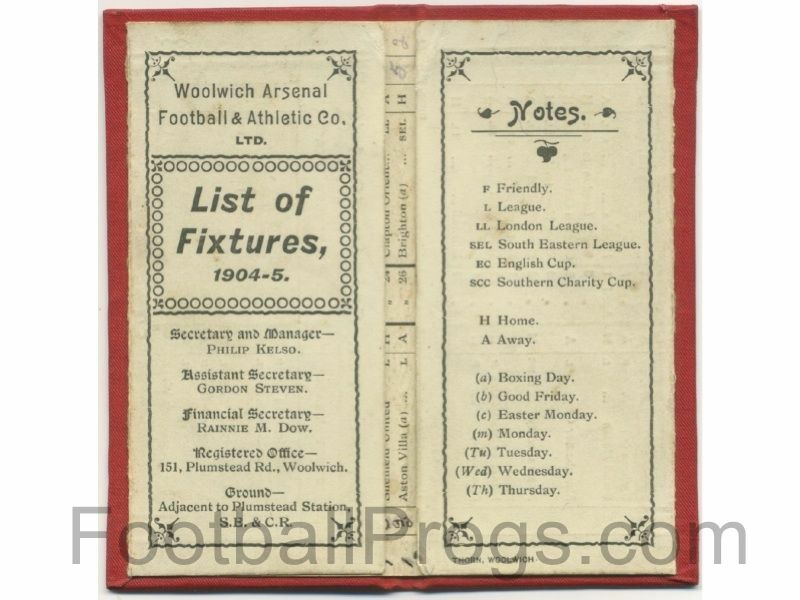 Woolwich Arsenal Fixture List - Season 1904/5. 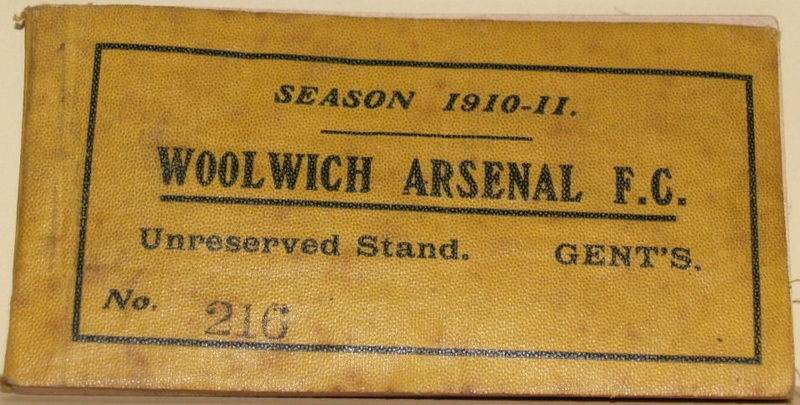 The full fixture list folds out from the inside of a small cloth covered booklet. 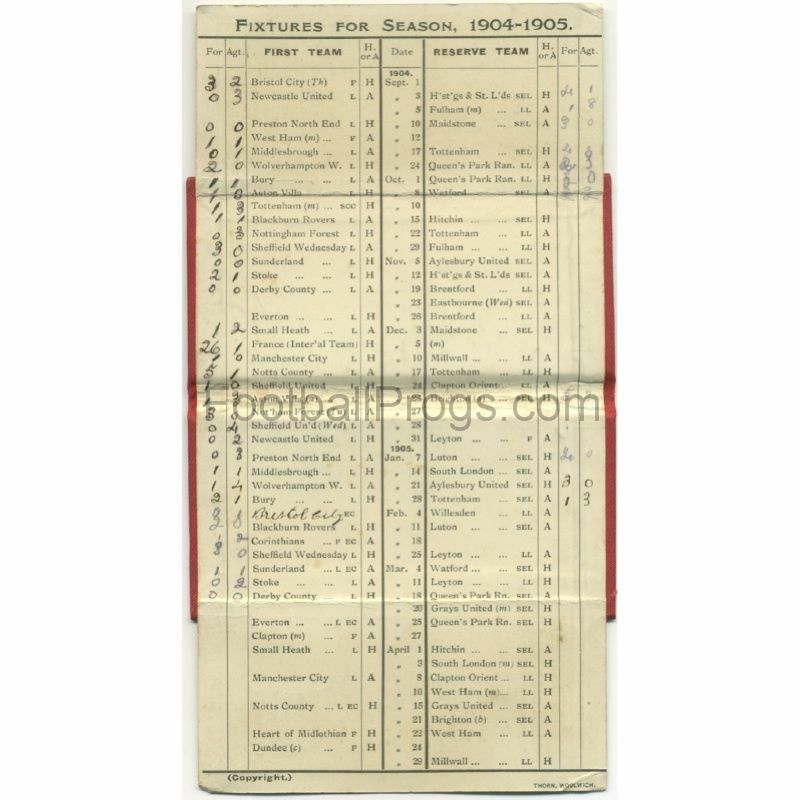 Arsenal Football Club have a similar fixture list for season 1896/7 in their museum and this is believed to be the oldest surviving fixture list for any English club. 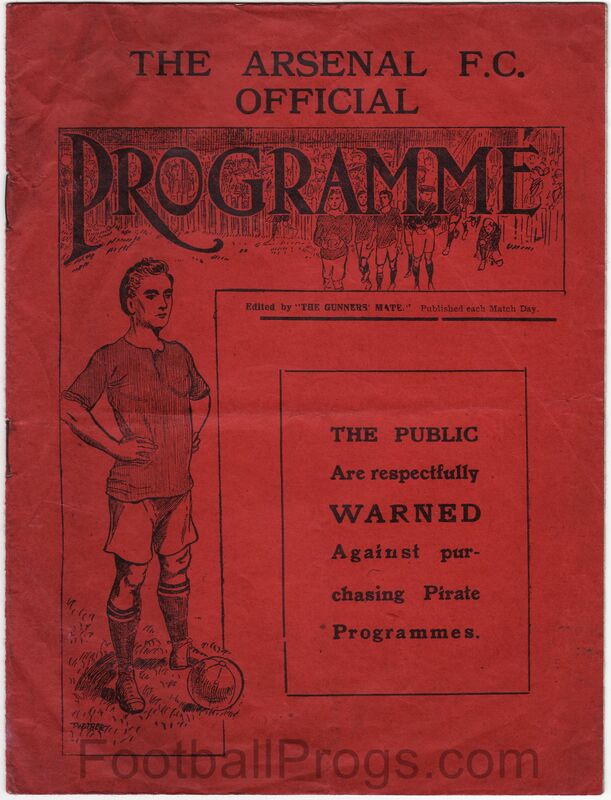 Woolwich Arsenal Home Programme 1907/8 - front cover of the 16 page match programme for the home match versus Man Utd played at the Manor Ground, Woolwich. 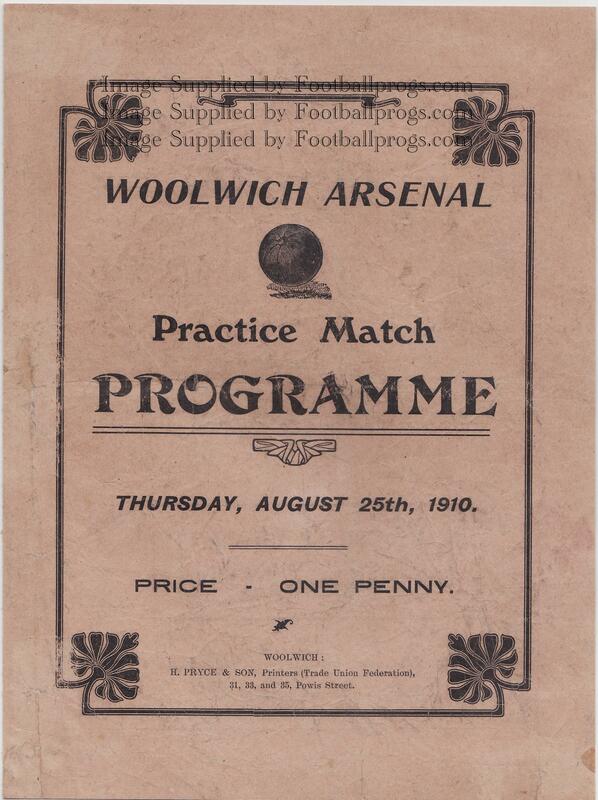 Woolwich Arsenal Pre-Season Practice Match 1910/11 - 4 page programme. 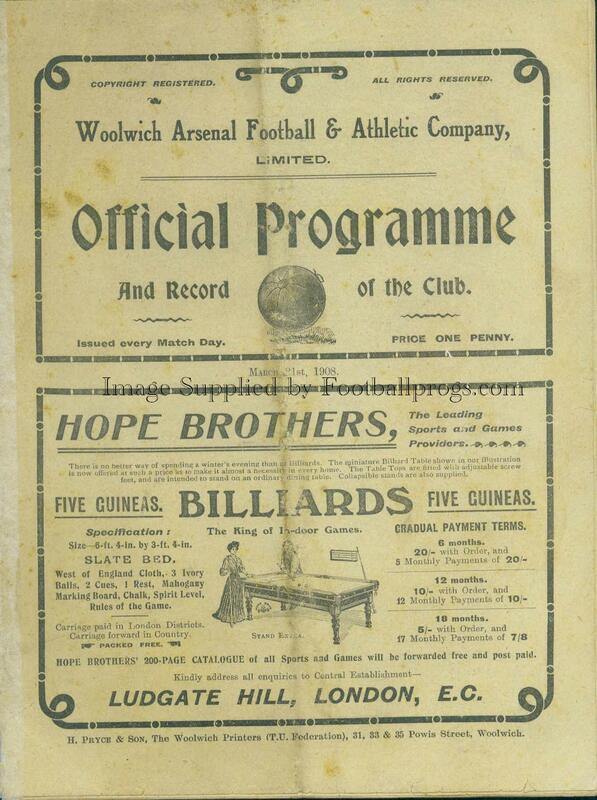 This is the oldest known Arsenal pre-season practice match programme to have survived. 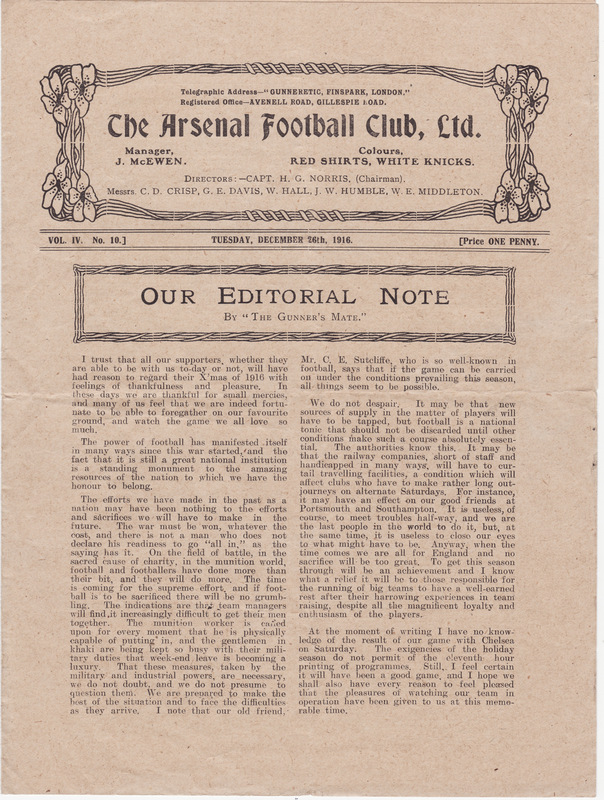 The Arsenal Home Programme 1914/15 - front cover of Arsenal v Bury, 2nd Division at Highbury. This was the last season Arsenal played in any other division than the top league in England. 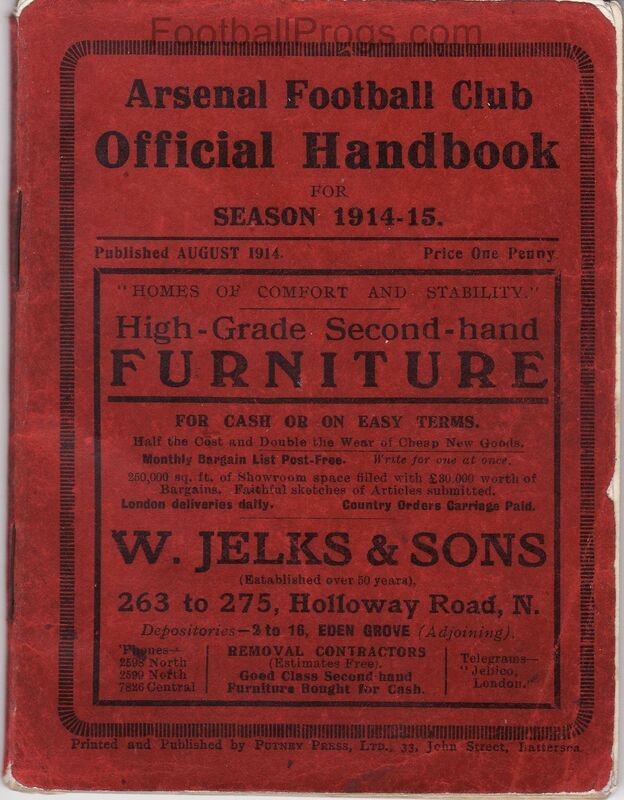 1914/15 The first ever Arsenal Handbook. There was then a gap before the next handbook was published for the 1921/2 season. Another one followed in 1922/3 but then production again stopped and was not restarted until 1930/1, after which handbooks have been published every year except during World War 2. 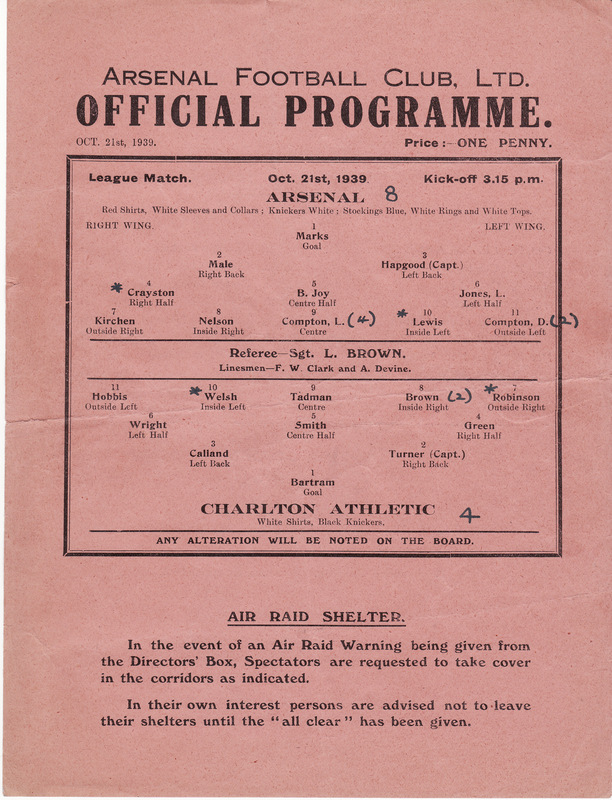 World War 1 - The Arsenal v QPR 1916/17 - 4 page programme for this war league fixture at Highbury. During this period, Highbury hosted not only Arsenal's home matches but also those of local rivals Tottenham. 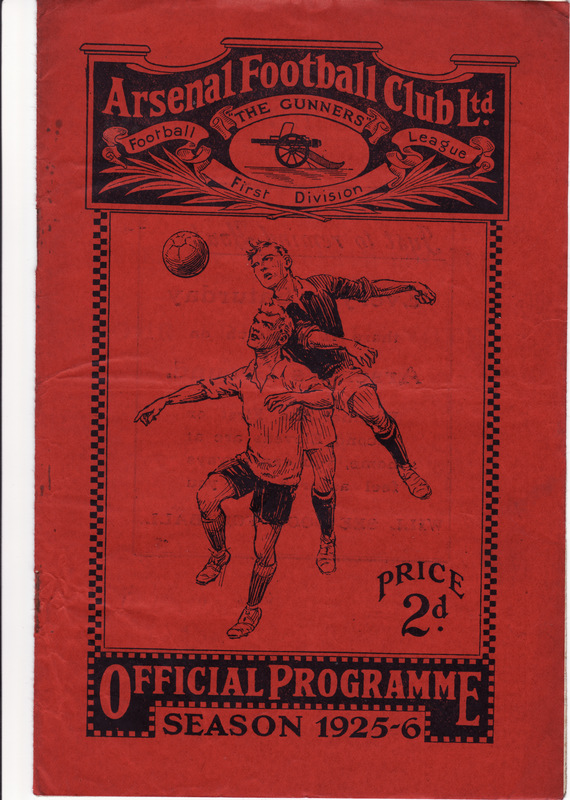 Two consecutive home programmes from the 1919/20 season - the one on the left from 22 November versus Notts County has the club name as "The Arsenal", while the one on the right from 6 December versus Chelsea is the first time the club was simply known as "Arsenal". 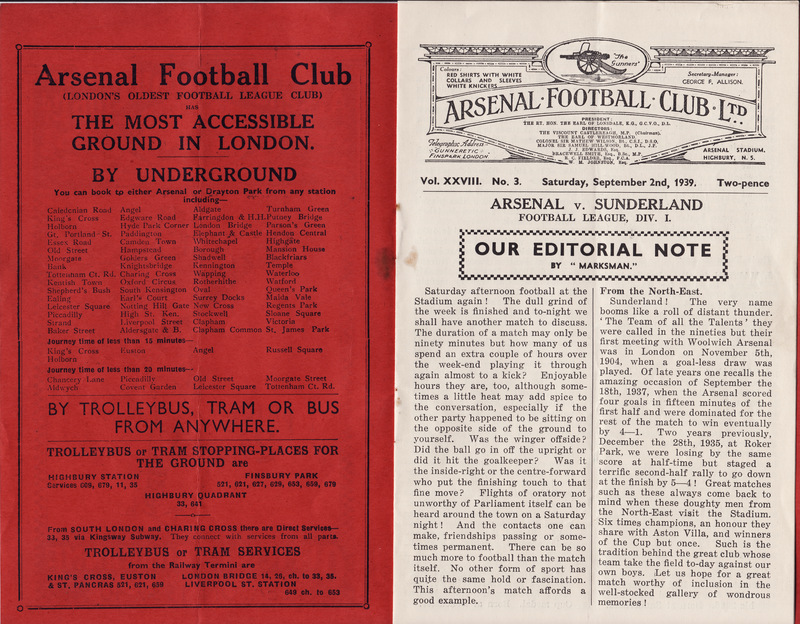 This is the programme for the last game of the abandoned 1939/40 season, cut short due to World War II, versus Sunderland on September 2nd at Highbury. Arsenal played 3 league matches before all competitions were halted. Football was resumed in late October 1939 with the regional war leagues. This competition was 'unofficial'and does any trophies won during that period do not appear in official club records. 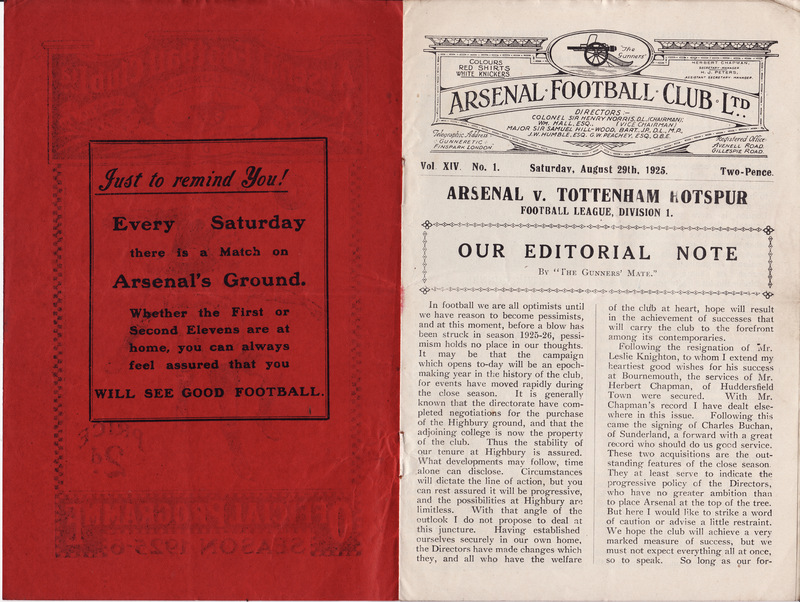 This programme is very similar in style to the 1925/6 season programme, although the format is slightly larger in size. 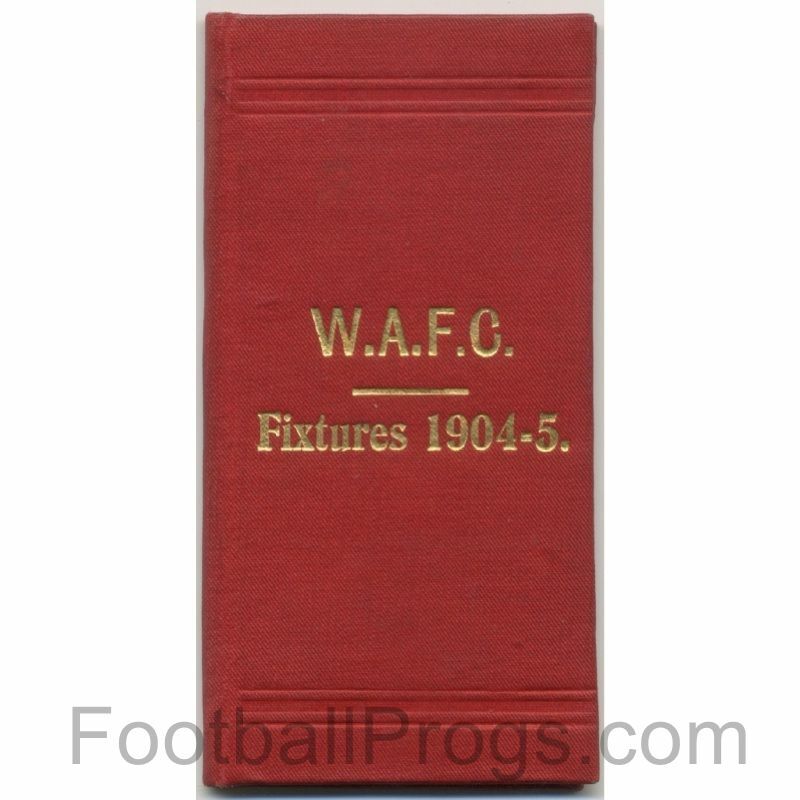 This is the first programme from the War League formed in 1939 and which lasted through to the 1945/6 season. During this period Arsenal played all of their 'home' games at Tottenham because Highbury was being used for war related activities. 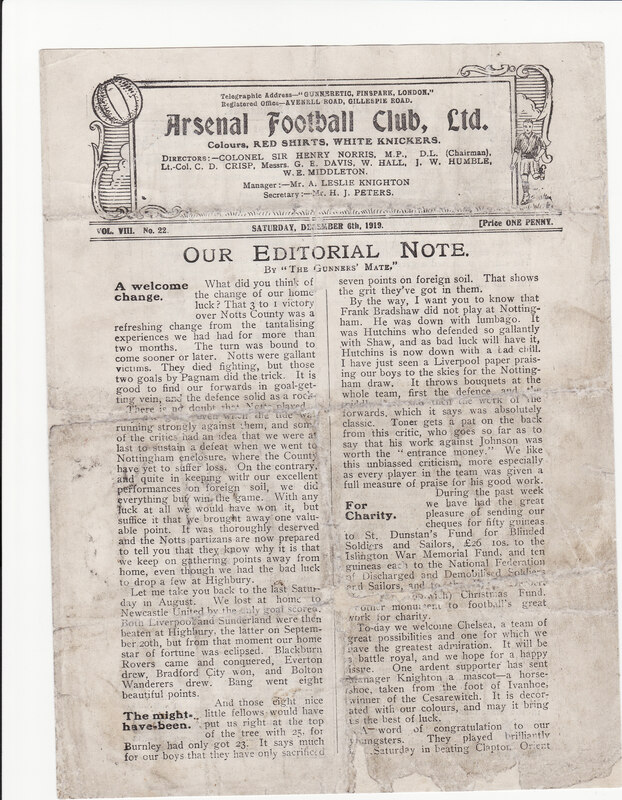 The home programmes for this period were all single page items and the paper can be quite fragile. Often teams were formed using guest players to make up the numbers as so many regular players were away. Programmes from the early war years can be difficult to obtain - hardly surprising given what else was going on in the world.